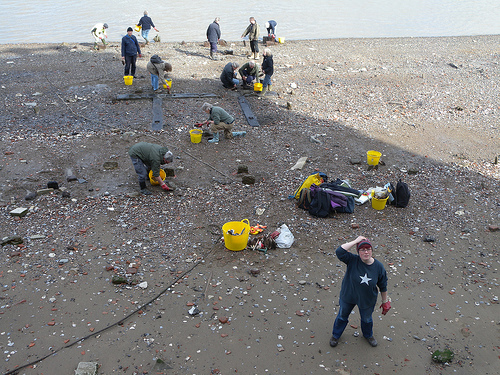 Thames Discovery Programme - Four Years of TDP! The TDP team would like to say a huge thank you to everyone who has participated in making this a very successful year – our first at MOL Archaeology, and the year we won the BAA Award for the Best Community Archaeology Project. As part of the Council for British Archaeology’s Community Archaeology Bursaries Project, we are delighted to announce that Courtney Nimura has joined Thames Discovery at MOLA. 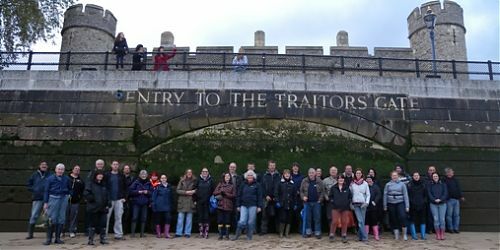 Just to sum up what has been achieved over the last year – there are now nearly 400 trained FROG members and we have been working at six different sites across London – Custom House, Isleworth, Charlton, Greenwich, the Tower of London and Rotherhithe. The site-based FROG teams have also been busy with visits to Vauxhall, Trig Lane, Greenwich, Custom House, Bermondsey, Bankside, Rotherhithe and in West London. We’ve attended events throughout the year with a number of different organisations and partners including Discover Greenwich and the Thames Explorer Trust, Historic Royal Palaces at the Tower of London, the Museum of London, Thames21, the Institute of Archaeology and the Walbrook Discovery Programme. 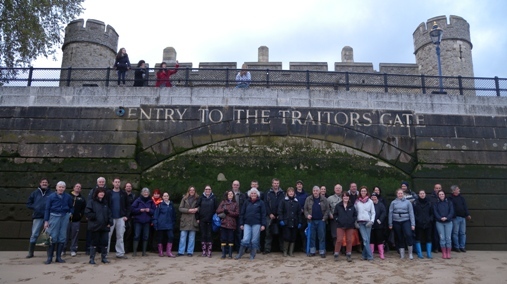 None of this could have been achieved without the input and enthusiasm of the FROG members and we’re already planning ahead for next year’s fieldwork and events programme – keep an eye on the events page for further information. 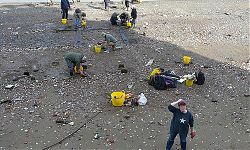 Team members have given lectures to the Thames Shipbuilding Symposium, Romford Museum, Oxford Brookes University, Oxford University, Hendon and District Archaeology Society, Colliers Row Library, the European Association of Archaeologists Conference in Helsinki, Richmond Archaeology Society, the Wimbledon Society and at the Institute of Archaeology, London. Looking ahead, we have our Foreshore Forum coming up on 8th December 2012 – more details coming soon!